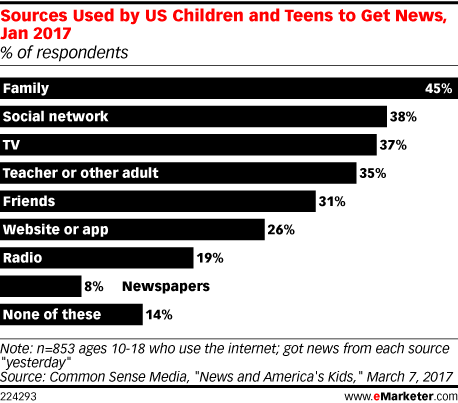 Data is from the March 2017 Common Sense Media report titled "News and America's Kids." 853 US children and teens ages 10-18, including 526 parent-recruited children, were surveyed online during January 10-22, 2017. Respondents were from the SSRS Probability Panel. Common Sense Media is a nonprofit organization supporting children and media.